The Blount County Humane Society is a grass roots, citizen based, non profit 501(c)3 “Animal Protection Organization” in the truest and longest traditions of the movement. We believe that animal protection stands for the preservation of animal life, not the ending of it. 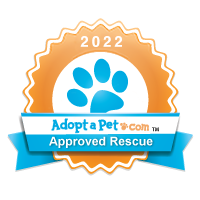 Our goal is to make Blount County a no kill community by building a safe shelter that saves our dogs and cats by following the no kill philosophy. If you would like to be a part of the true solution that is dedicated to champion and protect the animals, then you have found the right organization… Welcome animal lovers! Show your LOVE for the Animals! Show your love by giving a Forever Home to one of our homeless dogs or cats. Give a Love Donation so we can help more deserving creatures. Give your love and become a foster family for one of our rescued dogs or cats. Show the love by giving your time by volunteering at our All Creatures Thrift Store. Give a loving touch by volunteering at our adoption events. Show your love to the animals by attending a Friends of the Animals Team meetings. Give the loving gift that keeps giving by joining our Bark N Purr Club. Love the animals by donating land so we can build a safe NO Kill Shelter. Learn more about "Home for the Holidays Benefit Dinner"
Help Support a No Kill Blount County!